sorry, not feeling very bloggy… so here it is plain and simple, hope you like. 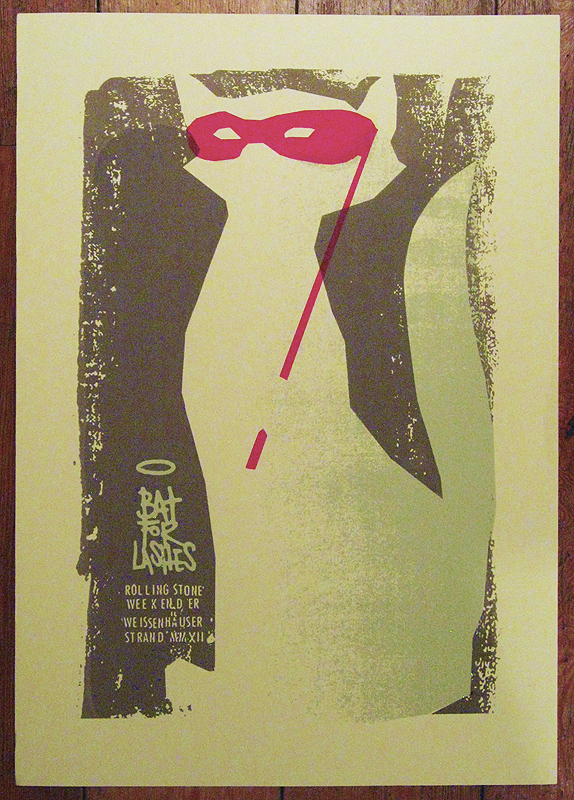 This entry was posted in Gigposters, Screenprints and tagged bat for lashes, cat, cat print, Germany, gigposter, limited edition, mask, petting zoo prints and collectables, rolling stone weekender, screenprint, serigraphy. Bookmark the permalink.